Dominic Chapman's simple yet enormously warming butternut squash soup recipe suits both a dinner party starter and a mid-week supper. This vegetarian soup is a deliciously creamy seasonal soup and is sure to garner fans around the dinner table. 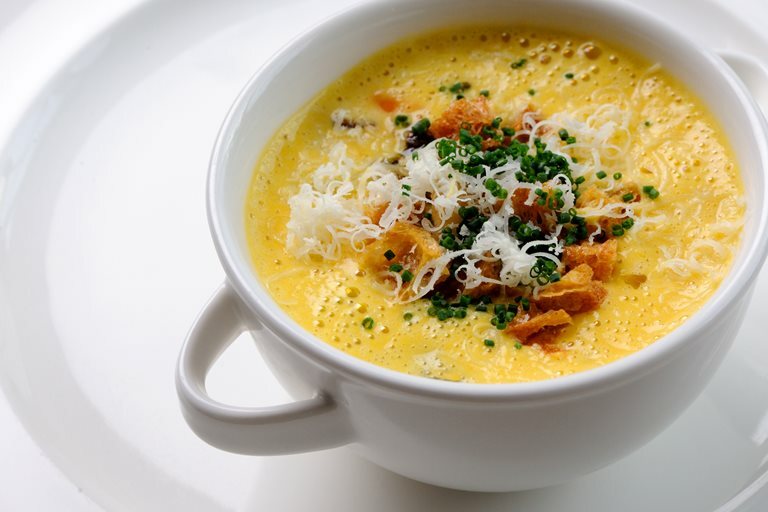 Butternut squash soup is delicious served with toasted butternut squash seeds, wild mushrooms or cheese toasties.